The authors show non-specialists how to develop a realistic and workable approach to teaching physical education. The book makes physical education worthwhile, practical and fun for students and teachers. 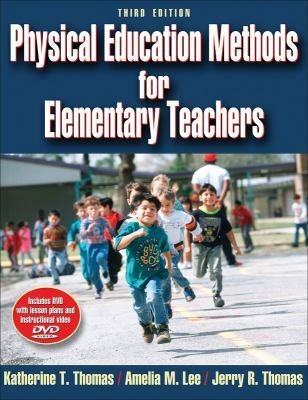 The text provides the reader with a basic physical education curriculum and suggestions for how to implement this.Katherine Thomas is the author of 'Physical Education Methods for Elementary Teachers-3rd Edition', published 2008 under ISBN 9780736067041 and ISBN 0736067043. Loading marketplace prices 10 copies from $15.58 How does the rental process work?